Darryl Burton spent 24 years wrongly confined in Missouri prisons for the 1984, fatal shooting of Donald Ball at an Amoco gas station. Darryl had nothing to do with the murder. The prosecution built their case against Darryl on the false testimony of one “eye witness,” who was not present at the crime scene and an informant with an extensive criminal history who testified in exchange for a promise of lighter sentencing in his own pending case and lied at trial about his criminal record. Exculpatory descriptions of the shooter given by three reliable eye witnesses at the crime scene were not presented at trial. While incarcerated, Darryl persevered to prove his innocence through multiple, unsuccessful appeals and motions before his exoneration. He was convicted in the Circuit Court of the City of St. Louis and filed appeals and motions in the Missouri Court of Appeals, the Missouri Supreme Court, the U.S. District Court for the Eastern District of Missouri, the Eighth Circuit Court, and the Supreme Court. It is interesting to note that upon review of the case, Justice Sandra Day O’Connor stated that she believed Darryl to be an innocent man, but could find no legal basis upon which to hear the case. In 2000, Centurion began working on Darryl’s case, conducting a thorough re-investigation of the crime and exploring potential avenues to get the case back in court. In April of 2006, Centurion submitted Darryl’s second Petition for Writ of Habeas Corpus to the Circuit Court of Cole County, Missouri. His petition was granted on August 18, 2008 Case summary below). Darryl was freed on August 29, 2008. Darryl Burton is now an Associate Pastor at Church of the Resurrection, the Largest United Methodist Church in the country and is studying to become an ordained pastor. He is a sought after motivational speaker and founder of the Miracle of Innocence, a not for profit organization focused on the wrongfully imprisoned and exonerated population in Kansas City, MO. He is married to a childhood friend. Miracle Man: Darryl Burton Forgives St. Louis. He Just Doesn’t Trust It. Donald Ball was murdered at a St. Louis, Missouri, Amoco gas station at about 9:45 p.m. on June 4, 1984. Witnesses said that as Ball was pumping gas into his car, a lone gunman approached him and fired a shot hitting Ball in the arm. Ball immediately ran and the shooter chased him, firing another shot into Ball’s leg which brought him to the ground. The assailant stood over the bleeding body of Donald Ball, fired the fatal shot into his back at point blank range, and then ran off into the night. One employee working in the payment booth and two customers of the gas station who witnessed the crime could not identify the shooter. All three gave descriptions of a black male with a short afro wearing khaki pants and a yellow shirt. Two of these witnesses described the shooter as having light skin. The third described the shooter as having medium skin and a thin build. Darryl Burton, however, is a dark skinned man. Claudex Simmons and Eddie Walker, the “eye witnesses” who later identified Darryl Burton as the shooter were not present at the Amoco station at the time of the crime scene investigation. The crime scene yielded no physical evidence outside of the bullet casing. Two of Donald Ball’s relatives told police that Ball had been shot just a year earlier by Jesse Watson, a drug dealer with whom Ball was having a drug turf war. Watson, they said, had tried to kill Ball and skipped town after the failed attempt. Police stated that two days after the crime Eddie Walker, accompanied by a known informant only identified as “Tampa Red” approached them. Eddie Walker told the officers that he witnessed the crime and that Darryl Burton was the shooter. Soon another man, Claudex Simmons, identified Burton as the shooter as well. Less than a month after the crime, police arrested Darryl Burton. The state built their case against Darryl based on Eddie Walker’s and Claudex Simmons’, identification. While Burton knew the victim, there was no bad blood between them and no motive was ever presented by police. Claudex Simmons – Simmons admitted to our investigator that he had lied at trial. Simmons explained that he falsely identified Burton as part of a deal to avoid many years of state prison time for the crimes he was charged with at the time. Simmons had recanted his testimony in an affidavit five months after Darryl Burton’s trial. We also learned that he had lied about his criminal record at trial, testifying that he had been convicted of 2 charges of theft over $150, when in fact his record included several felonies and misdemeanors. This information was key in overturning Darryl Burton’s conviction. Eddie Walker – Walker varied his story of what happened greatly every time he gave a statement. Walker died in 1996, but our investigation found multiple friends of Walker who all described him as a drunkard, a liar, and devoid of scruples. Danny Pennington, a friend of Walker’s stated that he was with Mr. Walker one block away from the shooting when it occurred. When Pennington read the testimony given by Walker wherein he identified Mr. Burton as the shooter, Mr. Pennington blurted out, “That’s a lie! I was with Eddie when he heard the shots! We didn’t see nobody!” “Tampa Red,” the police informant who accompanied Walker to the police to identify Darryl Burton as the shooter stated in an affidavit obtained by Centurion that he didn’t remember anyone named Eddie Walker from his neighborhood and did not even recognize Walker when shown a photo of him. When our investigator interviewed the gas station cashier, an African American woman named Joan Williams, she said that she had told the police that they’d gotten the wrong man because the shooter, whom she had plainly seen, was an African American much lighter in skin color than the dark skinned Darryl Burton. On August 29, 2008, Darryl Burton was finally free, capping an eight year effort on the part of Centurion’s team and Darryl’s 24 year struggle for the justice and freedom he deserved. 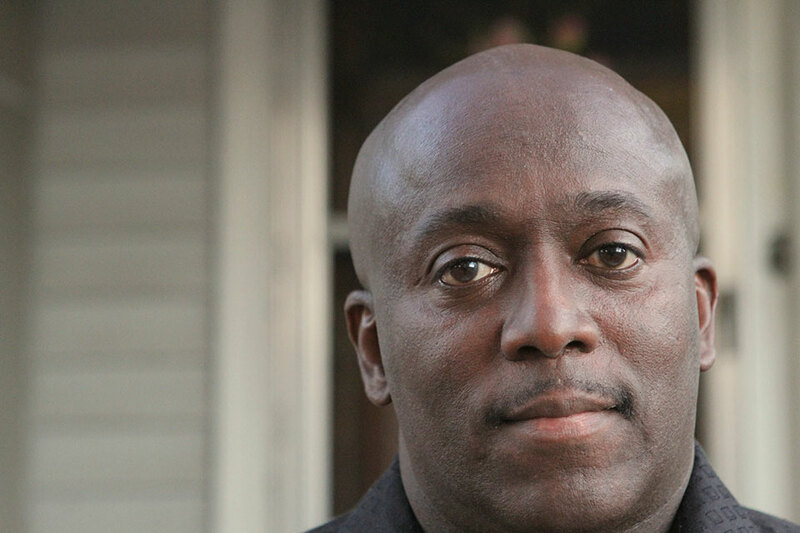 Today, Darryl is working to establish his own organization, Miracle of Innocence, with a mission of vindicating individuals who are wrongfully convicted. He is an associate pastor at the largest United Methodist Church in the US, and a sought after motivational speaker for groups around the world.